Welcome to another great installment of “Cloud Reviews”. Thanks to my fine friends at Redbox, I rented Delivery Man starring Vince Vaughn. This flick was directed and based on the original screenplay called “Starbuck” by Ken Scott. The story is about David Wozniak, a man who eeks through life and just can’t catch a break. To make matters worse, he later discovers that he is the father of 533 children thanks to his many generous contributions at a sperm bank. Please note that there may be some spoilers in this review. David is confronted by an attorney stating that 142 of his 533 children are filing a lawsuit against the clinic demanding the identify of their father. Wow that is quite the predicament huh? Makes you wonder, what you would do if faced with David Wozniak’s situation? However at the same time, I probably would have stopped after a couple of visits instead of going over 500 times. My mind nor my body could handle that many contributions to the tadpole clinic! The movie also start Chris Pratt and Cobie Smulders. Pratt plays David’s good friend and attorney. He tries to steer Wozniak in the right path by providing sage like advice on parenting and life in general. However this advice always seems to fall on deaf ears. Chris Pratt seems to have nailed the lovable loser with a slanted view of life role. Smulders plays David’s girlfriend that is often neglected and wishes that he would grow up. If you are expecting Robin Scherbatsky then think again. Due to certain circumstances, she decides to give David another chance at making their relationship work. Delivery Man is a good mixture between chick flick and comedy. I promise that your man card will not be revoked by watching this movie. I went into this movie with low expectations and was pleasantly surprised with the movie. You cannot go into this movie expecting great quotes like in Wedding Crashers or any other Vince Vaughn movie. Delivery Man succeeded at making me laugh and keeping me entertained. For that reason I give this movie 4 clouds! 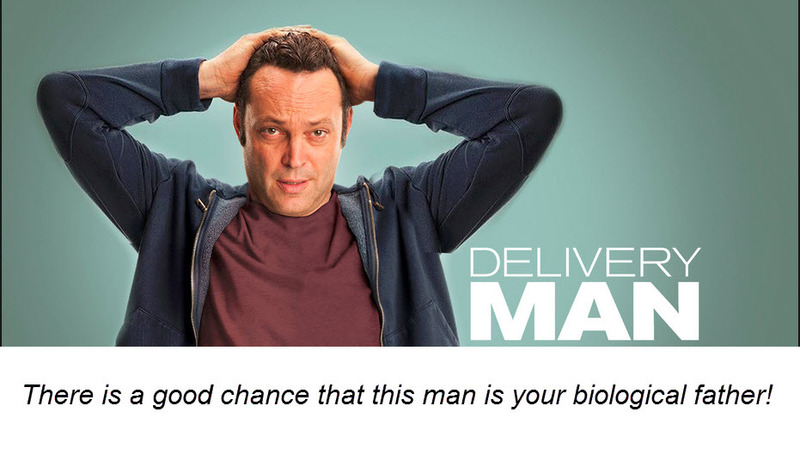 What did you think of Delivery Man? You like my reviews? Let me hear from you!